If I had to name one food that I couldn’t live without, chocolate would be right up there. Salted butter is on that short list, too. Seeded bagels, California dried apricots, black and white cookies, osetra caviar (if money, and sustainability, were no object), lobster rolls, French fries, and really good fried chicken would also be on that list. Not as fancy as some of those things, but just as good, another thing that I can never seem to get enough of is crunchy cornmeal. And the good thing is that I live next to Italy, so whenever I pop over and visit my neighbors, I always bring back not only good coffee by the kilo, but as much polenta as I can jam into my suitcase as well. A few years ago I was shamed into only using stone-ground cornmeal, but the locals seem to have taken to instant polenta, which I was told wasn’t bad by a well-respected chef. That’s what is widely available here, but I just couldn’t bring myself to agree when I tried it for myself. Arabic food stores sell cornmeal in various grades, but plain or coarse polenta is what I use for these cookies, not fine. The reason I haven’t tried them with fine polenta because I just never buy it. So there. These crunchy, rustic cookies are adapted from the recipe for Zaletti in Carol Field’s excellent book, The Italian Baker, which was one of the cookbooks that I shipped from San Francisco that is in that wayward case of my all-time favorite cookbooks that I shipped here back in 2004, which I am almost giving up hope for recovering. Almost. Thankfully the recipe was in my personal book of treasured recipes, which I hand wrote in restaurant-sized quantities. So I used my impeccable math skills and reworked it back into manageable quantities, which came out as good as I remembered them. And Italians seem to have a love-hate relationship with sugar in desserts: some are intensely sweet, especially those with whipped cream, while others are almost void of the sweet stuff. These fall into that second category. Look, I don’t have anything against sugar (which is a good thing, because if I did, I wouldn’t have a job), but it’s nice when things are more about the flavor of the ingredients rather than being sugary sweet. One touch that’s probably not that authentic was I tried adding a lemon glaze to the cookies. I didn’t mind the taste, but anticipating some odd comments (not that that’s stopped anyone before…), I decided they looked best without it. However if you want to give it a go, stir together 1/2 cup (70g) powdered sugar with 5 teaspoons of lemon juice until smooth, then drizzle it over the cookies once cooled. Adapted from The Italian Baker by Carol FieldYou can use any dried fruit you like, or follow the suggestions here. 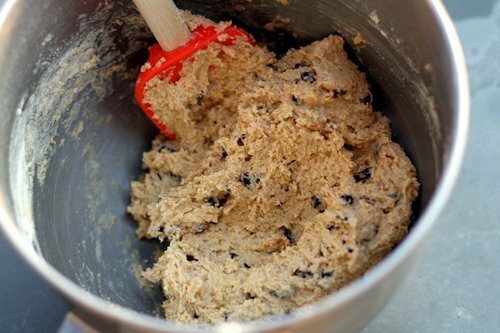 It’s a good idea to chop the fruit into small pieces, which makes neatly slicing the cookie dough easier. 1. Toss the dried fruit and the 2 tablespoons (20g) of flour together in a small bowl and set aside. 2. 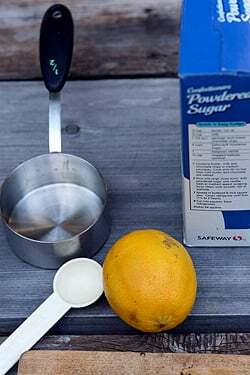 In the bowl of a stand mixer, or by hand, beat together the butter and sugar until smooth and creamy, about one minute. Add the eggs, one at a time, then the vanilla, beating until incorporated. 3. 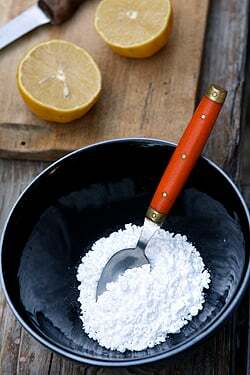 In a separate bowl, whisk together the 1 1/2 cups (210g) flour, polenta, baking powder, and salt. 4. Mix the dry ingredients into the beaten butter mixture until incorporated, than stir in the dried fruit. 5. Form the dough into a rectangle 4- by 7-inches (10 by 18 cm), wrap in plastic, and chill the dough for about an hour, or until it’s firm enough to handle. 6. Divide the dough in two, lengthwise, and roll each piece of dough on a lightly floured surface into a smooth cylinder 7-inches (18cm) long. Wrap the cylinders and freeze until ready to bake. 8. Line two baking sheets with parchment paper or silicone baking mats. 10. Bake the cookies for about 12 minutes, rotating the baking sheets midway during baking, until the cookies are very light brown on top. Remove the oven and let cool completely. Serve the cookies by themselves, alongside a fruit compote, or with a scoop of your favorite ice cream or sorbet. Storage: The cookies will keep in an airtight container for up to four days. The dough can be refrigerated for up to one week, or frozen for one or two months. I think the lemon glaze sounds delicious on the cookies. I love that book of Carol Field’s – also her “Celebrating Italy.” If you need any other recipes from that book, let me know and I’ll email them to you. You’re so right about Italians having love-hate affair with sugar. There’s the overpoweringly sweet baba’ au rhum and then there’s the traditional (and not very sweet) biscotti that are dunked into vin santo. I love them all. Ha. I love how to Americans Paris is ‘next door’ to Italy…! Awesome. Awesome. Awesome. Thank you for finding me a good recipe for “Zaletti”. I love those freaking things to pieces. Whenever I’m in italy I eat plenty of them, but it just isn’t enough. Now I can go and get my fix in my regular kitchen. Merci e grazie. Once again, your writing just draws me in. I agree with your point about enjoying things for the flavor rather than the sugary sweetness. Do you think there’s a gluten free alternative to that 1.5 c of flour? Thinking of making these for a gluten intolerant friend. Maybe some of the almond flour left over from the great Macaron Incident of 2009? Hazel and Liz: Yes, France and Italy share a border. Which makes us neighbors. In the United States (and perhaps in other English-speaking places), we say “next door” to imply neighbors as well. 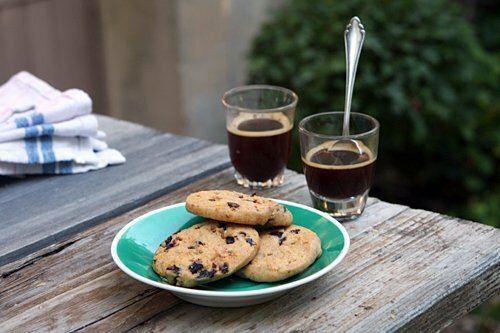 Delicious…we’re loving the idea of cornmeal cookies (being polenta junkies and all)…and with the dried cherries? Perfect. Must try asap! Fantastic! 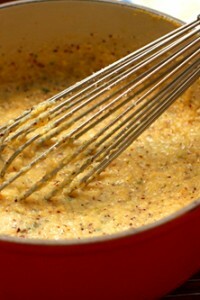 I’ve been looking for a recipe to use up some cornmeal before I move, and adore zaletti! 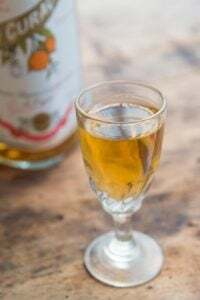 May even add some candied ginger in lieu of dried fruit. Grazie mille, David! I’ve broken the spine on 2 copies of The Italian Baker. Great book. Somehow I haven’t tried this recipe. I love the Baci di Dama cookies, and the Vanilla-Scented Tea Biscuits. And the Focaccia recipes. Oh, and the Burano butter cookies, which my family calls “Lemon Snakes”. I like to melt some chocolate and paint tiny eyes on them with a toothpick. I’m a little obsessed with lightly sweetened Italian cookies. When I was in Italy the hotels served a variety of delicious cookies as part of breakfast. They were no Stella Dora Breakfast Treats. They were slightly sweet and sort of hearty, the perfect partner to an espresso and the perfect way to ease into the day. I’ve looked for these cookies in NYC but I’ve had no luck. I’ve found cookies that look similar in bakeries in Little Italy but they’re tasteless and rock hard. The closest thing I found are by an Italian company called Primo Pan, which are nice and hearty but a little more buttery than the cookies I remember. I can’t wait to try this recipe. I’m going to try the cookies with chopped figs – my mouth is already salivating. I also like her Sailor’s Bread – a treat I make just for myself – a piece with coffee in the afternoon alone. I never tire of new chocolate chip cookie recipes. 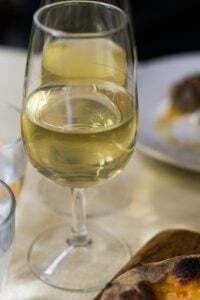 Merci pour la nouvelle recette! That is certainly one of the many nice recipes from that book. My copy of it has gotten pretty worn over the years. If you ever get a copy again, you should try the marasche – basically almond paste wrapped around an Amarena cherry and baked. They are really, really lovely. These cookies sound delightful. I just jotted the recipe down to try them myself. I love reading your blog… not just for the recipes… but for your extraordinary writing. Like Cookin’ Canuck said, it just draws me in. 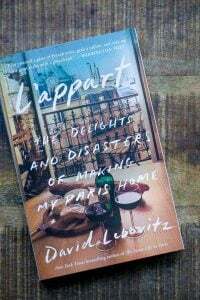 And l also enjoy the glimpses into Parisian life. Thank you. These look amazing. I was kind of bummed to see the glaze go but definitely don’t need the extra sugar! I have never had a cornmeal cookie. Isn’t it awful? Thanks for the recipe, I’m sure they are as yummy as they look. Like you said, Italian cookies aren’t as sweet or as rich, but they don’t need to be. 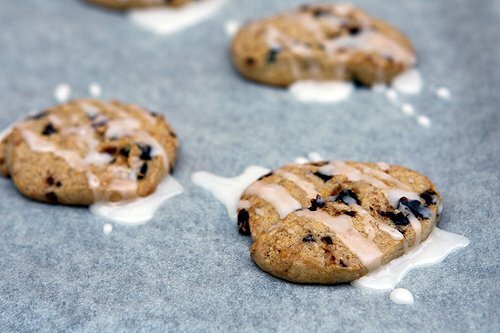 They use ingredients that have flavor as well as being the structual component for many of their cookies. It’s seems the U.S. uses plain wheat flour mostly and occasionally oatmeal or coconut, but still a lot of flour, that needs to be sweetened by sugar and flavored with something else. We tend to use molassas or chocolate or cinnamon as the majority of “other flavors” in the cookies. And we seem to love cookies chewy, so there is more fat and eggs in ours as well. I love the idea of another structural base, like cornmeal or sesame or nuts as the structural component, with flour only used enough to hold it together and sugar enough to enhance the flavor and not some much fat. Cookies don’t always have to be rich with fat! Although..I have to admit, there’s still nothing that compares to shortbread. I love butter as the flavoring agent, too, and it’s crispy but tender! 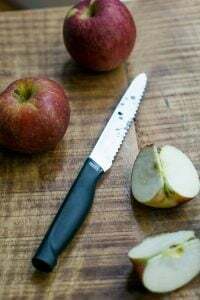 I also love zaletti – I discovered them via seriouseats a few months ago and had some amazing cornmeal (from the farm that grows huitlacoche, among other things, for Rick Bayless’s restaurants). 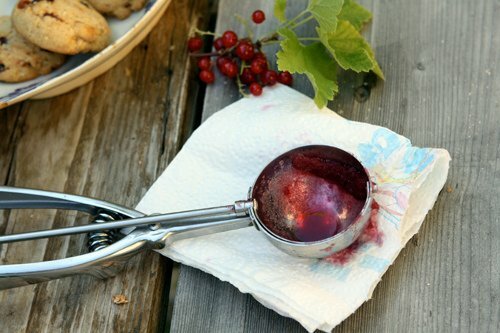 My own favorite fruit addition is dried blueberries soaked in a bit of cachaça. I like to give them a brief dip before baking in a plate of raw sugar: here are mine. Ah, you sent me straight to my bookshelf for this one! I got my copy of The Italian Baker years ago after seeing Carol Field on one of Julia Child’s series (In Julia’s Kitchen with Master Chefs, maybe?). I used to make her Pane Pugliese and grissini all the time, as well as the brutti ma buoni. Thanks for reminding me of the zaletti (I have that page bookmarked, but have no notes indicating that I ever made them). 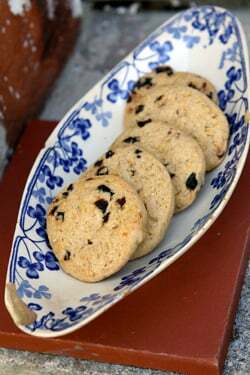 I’ll be trying the crumiri (“Buttery Horseshoe-shaped Cookies from Piedmont”) on the following page, too, perhaps when the weather cools off enough to consider turning on the oven. Brutti Ma Buoni, the Italians have a great sense of humor and seem to not care about appearances when it comes to what they eat. Your cookies look belli E buoni! (pretty *and* good). That looks great but do you really need to use polenta? Do you think corn meal would work? Yes, the French are our next door neighbours, in any sense. In Italy we call them ‘I nostri vicini francesi’ or even better ‘cugini d’oltralpe’, cousins from beyond the Alps. Funnily enough, years ago a French acquaintance addressed me with the same expression (in French obviously), then if the relation between the two folks is of such a brotherly nature, well it has to be seen; there are many contentious issues, food being a capital one. The biscuits/cookies look delicious and I can’t wait to make them. For me it’s good air dried bacon and French unsalted butter with a crispy baguette. I am definitely going to try these. I am a bit of a fanatic about the cornmeal that I buy and if I find something fresh and course or stone ground, I grab it. The type of cornmeal that I use in my cornbread, polenta and other recipes makes a huge difference. So now I am spoiled, but I have a pretty adequate supply of excellent quality ground cornmeal in my freezer. None of that grocery stuff for me, especially on the east coast. My husband is born and bred (southern) Polish — and considers his neighbor to be the Czech Republic…sharing a border. 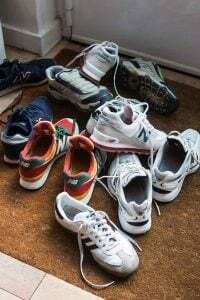 I don’t think it is an American thing at all to think that way – I have Nederlans friends that consider whomever they border with a neighbor…I get so weary of all the generalisations ON the generalisations of Americans. WHICH by the way – to me, American means North, South America — so I always say U.S. citizens. These sound great. I’ll give ’em a go at the weekend! 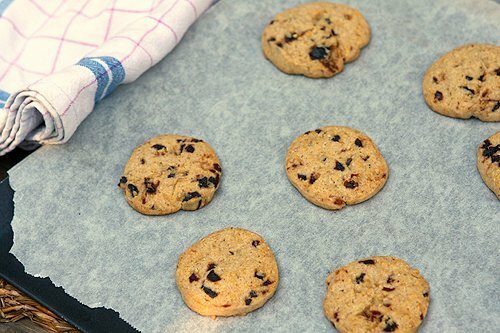 As for a dried fruit suggestion, I’ve used barberries with great success in other cookies and think I’ll use ’em again here. These look like the perfect not-too-sweet cookie for work. We’ve started having an afternoon tea break and it’s nice to make something that isn’t going to lead to a massive group sugar crash. Ha, ugly but good. I feel like that suits a lot of good cooking – it may not look the best, but it is homey and amazing. Thanks for the recipe! These sound perfect and I’m glad that they aren’t too sweet. A nice lemon glaze sounds perfect, but ice cream sounds better. Is there a reason that you slice your cookies instead of scooping the dough out? At our house we always say, “I’ll be fine after some refreshments…” This would fit the category quite nicely I think. But question – Is cornmeal preferable? 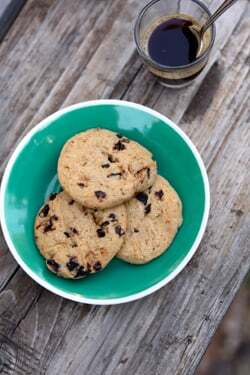 Joy and urmomcooks: I’ve not tried cornmeal because I like these cookies just as they are. But if you do try it, let me know how they turn out. Angela: I like the way they look sliced, and they get crisper. But I have instructions for both, so you can do them either way. Tracy: Her Crumiri recipe is pretty great, if I remember. I have to say, after seeing chocolate being one of your favorite things, I had really hoped these were cornmeal chocolate chip cookies! I had them once somewhere, too long ago to remember where, and they were sooooo tasty, great texture. Maybe I’ll experiment with this – thanks for the inspiration, as always! David, you may have my copy of The Italian Baker if you want it. I use it fairly often but have the recipes on my computer. The one cookbook I would be really sad to lose is Richard Sax’s Classic Home Desserts (1994) — now out of print. Love his gingerbread, peach ice cream, shortbread. PSS I meant to say of my old cookbooks…. David, you had me at cornmeal! One time in Castellina in Chianti, while my husband was trying to get the stick shift rental car to go up a 45 degree blind hill out of a parking lot without killing little babies in strollers, I wandered through the outdoor market (not wanting to be a witness to the carnage). I bought the ugliest–ugliest!–and best-tasting cookies I have ever had. They were called Ossa di Mortu, bones of the dead. I can still remember that “heavenly” taste. Another great post. Carol Fields’ book taught me how to make focaccia, biscotti and the marasche (?sp) cookies someone else mentioned. I will be making the Zalletti post haste. I too love chocolate, but am not a big fan of fruit in my cookies. Could chocolate chips be substituted for the fruit? And these cookies look amazing! So glad to know that I’m not the only one with a hankering for cornmeal in something other than pancakes. That being said… what about using this 2.5 lb bag of dried apricots for the dried fruit?? I think it must be done! Thanks! David, is there a texture difference in the baked cookie between using the dough fresh or freezing it and defrosting it before use? I keep trying to tell myself that I am a bad person for even thinking of putting chocolate chips in these instead of fruit. 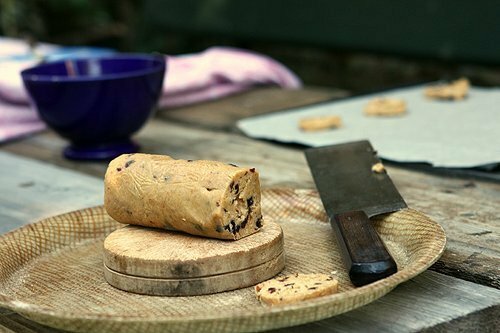 Great recipe and story – Is the link to the Biscotti Bruti Ma Buoni the recipe you use? I’ve only made them once and used the Recipe in Th Silver Spoon – found them to be a little too hard though they tasted great. Skippy and Lori: I’m sure you could use chocolate chips, although they might make the cookie dough harder to slice. If you do try it, let me know how they turn out. Hi David, I have just made these cookies and used a commercial gluten free flour. I don’t know what they are meant to taste like, but certainly they are delicious GF. I just needed to cook them a little longer than you suggested. I love the presentation platter but why the edges so ragged on the parchment paper ?? Just kidding……………All looks grand.. Thanks from your neighbour across the Channel! Great timing: I just finished dehydrating 8kg of cherries and was wondering what do do with them. Your recipe sounds perfect as I love all things polenta and I’ll try it on some friends tomorrow. I am really looking forward to trying this recipe. I’ve had a “thing” about cornmeal recently, after making cornmeal spoonbread for the first time. Considering you could drive from Paris to Torino, Italy or Zurich, Switzerland in about the same time it takes me to get to Washington, DC (crossing two states from my home state of SC), I do consider that to be “next door.” In the US, we frequently travel long distances yet consider ourselves relatively close to home. It would take me about five eight-hour days of driving to get to the opposite coast of the US, 13 hours to the nearest major city in Canada (Toronto), and maybe 26 hours to the nearest major Mexican city (Monterrey). I would love to have the luxury of being able to drive to another country in an afternoon! i am starting to develop a strange addiction to using cornmeal in baked goods, every since i made those rhubarb tarts from Good to the Grain. i have some polenta hiding out in the pantry, so i’m gonna give these a try too. and i love that they make plenty, so that way i won’t feel bad if i only bake off some of them , and freeze the rest for later! What intrigued me was the spoon standing up in the glass of coffee in the first photo…must be very “thick” coffee. Also, I sympathize and empathize as I have a box of books wondering the world as well since 2001! It has really good books in it that I had gotten and wanted so much to enjoy too. Bonne chance then on that box. Haven’t tried the Zaletti yet, but will do so this weekend! Another outstanding recipe from the splendid “Italian Baker” is Pani de Mei, Sweet Corn Buns. We make them smaller than the recipe dictates so they’re more the size of cookies than buns. I’ve baked my way through this book since it was first published (the year I was married!) and it remains one of my favorites! I have been loving cornmeal in just about everything lately, especially waffles. But I haven;t made cornmeal cookies! They look tasty and crunchy and wonderful. And I think I’ll try the glaze too! I’ve been making these cookies for years after finding them in one of Jamie Oliver’s cookbooks. 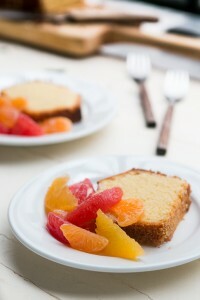 He adds grated orange zest, a fab. idea. Glad to see them back in the spotlight! Oooh those look good! I’m glad you made the passing comment about them not being terribly sweet – I’ve been on an unfortunate roll of making attractive but too-sweet cookies. I think I just don’t know how to eyeball a recipe and decide how it’s going to come out – if you have rules of thumb or observations enough for a post, I’d bookmark that and refer to it often! I am envious of you and your neighbor Italy (I totally think it counts). David, you now have me addicted to speculoos spread (or spekuloos wherever you get it) and I feel that I need to turn this into an ice cream asap! do you happen to have tried this before? i have gone through two tubs in a week just eating it out of the jar! i agree with the move over nutella sentiment! I bought the spekuloos spread at the Arcadia gift shop in NYC just yesterday and almost half is already gone. I did have some help but not much. Just ate it straight out of the jar, except for breakfast when I spread some on a wafel from Wafel and Dinges. The pre-wrapped wafel can also be bought at Arcadia. There’s no expiration date on the jar. Does that mean that the company thinks you won’t need one because you’ll eat it in a matter of days? Also…says nothing about refrigerating after opening so I’m storing it like peanut butter. Is that ok re food safety? Oh! Apologies for being off-topic here. Cornmeal cookies are good too! i have to say i agree with you completely about the instant polenta. i bought some polenta recently that wasn’t instant but had been milled too finely, and the texture really bothered me! it has to be fairly coarse to taste and feel right. I made these last night (with a slightly coarse ground cornmeal) and they were fantastic. I love the texture (and I discovered that they are quite tasty with scotch or bourbon :-) ) I may try them with chopped dried apricots next time. 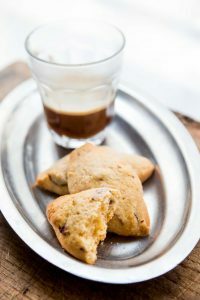 I love simple, not too sweet Italian cookies and these really hit the spot (and were a cinch to make). I made these within hours of reading the post. I used cornmeal instead of polenta and it worked fine. Probably gave a finer crumb than polenta would. I used dried sweetened cranberries (“Craisins”) and some finely chopped walnuts. I also added about a tablespoon of grated Meyer lemon rind, which gave a lovely subtle lemon taste without the added sugar of the glaze. Thanks, David — this recipe is a keeper! Okay, I made these, and they are DELICIOUS. I used Bob’s Red Mill polenta and a mixture of whole wheat pastry flour and white whole wheat flour, brown sugar instead of white, and threw in the rind of one lemon that was hanging around. It was easy to get the dried cherries into tiny bits when processed with the flour in my small coffee/spice mill. A keeper, a temptation, have just ordered the cookbook. As if I need another cookbook! Thanks for sharing this great recipe, David. I did many of the same things as the above commenter Beth did. Bob’s polenta, half cup white whole wheat flour, half cup all purpose white and half cup whole wheat pastry flour (influence of 101 cookbooks and having quite a bit of this flour that I have to use up). I had to cook them for about 18 plus minutes and still think they could have cooked a bit more. The cookies have a crunch because of the cornmeal but I would like them to be drier/crisper. I used two extra large eggs, maybe that is where the extra moisture is from. They look like yours but I would not say my cookies taste as amazing as yours look like they taste. I wanted to make these cookies as soon as I saw the post and got to it a few hours later. Your cookies look beautiful and very appealing. I love cornmeal and I think I am going to have to follow your instructions exactly and see if I can get these to become keepers. Thanks for the blog post, I enjoy reading your blog. I have made a several of your recipes and we have enjoyed the results…especially the biscotti and the almond cake. My mother used to cook some creole recipe from north-east Brazil using polenta. The dish resembled Moroccan couscous, but made with cornmeal instead of wheat. After recently making your Chocolate Chip Cookies (p.188 – Really great!) I noticed that you called for salt as one of the ingredients. Not so unusual, however, now that we have so many kinds of salt from which to choose, it raises the question whenever you see salt in the ingredient list — should I use iodized table salt, kosher salt, or various special sea salts? In the chocolate chip cookies with mesquite flour, Heidi calls for fine sea salt. Flo Braker indicates in her compendium of ingredients that all her recipes are made with iodized table salt. Is there still the default option of using iodized salt when recipes don’t specify. Where do you weigh in as to salt type? Rob: I have a post coming up about salted butter in baking, but since salt isn’t standardized (for example, some kosher salts are a lot saltier than others) it’s hard to be precise. But I also don’t want people to get too hung up and stressed about using the right kind of salt and in baking, unless one is hypersensitive to tastes in salt, the difference between most isn’t so consequential because of the small amount in baked goods. In general, I use flaky or gray crystal sea salt. Eileen: Whole wheat flour will behave quite differently than white flour. I do like the taste of whole wheat flour, but it’s not always the right substitute for regular white flour. There is ‘white’ whole wheat flour (King Arthur also carries it) but I’ve not used it. 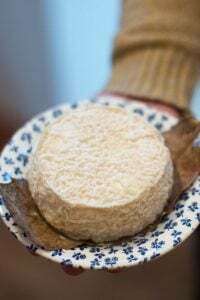 I’ve made these twice – once at work with a gluten-free flour mix and rice bran oil instead of butter (we didn’t have any butter in stock), and once the regular way, at home. I think I almost prefer the rice bran oil version! It makes them less rich, or something. I also added in some lemon zest, and I used chopped cranberries both times. 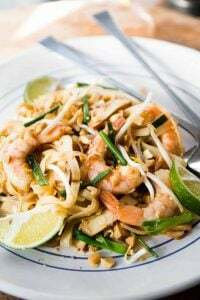 I love your blog and have made several recipes so far that have all been wonderful. I did make these cookies with mini chocolate chips (what I had handy) and they turned out well although I probably could have baked them longer to crisp them up a bit. They still tasted great and I can see how fruit would be good.